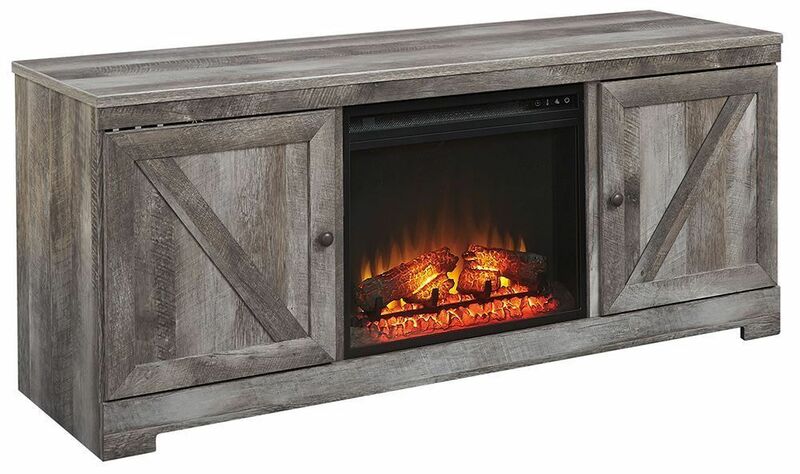 Add some crisp, clean character to your home with the Wynnlow TV Stand with Fireplace Insert! 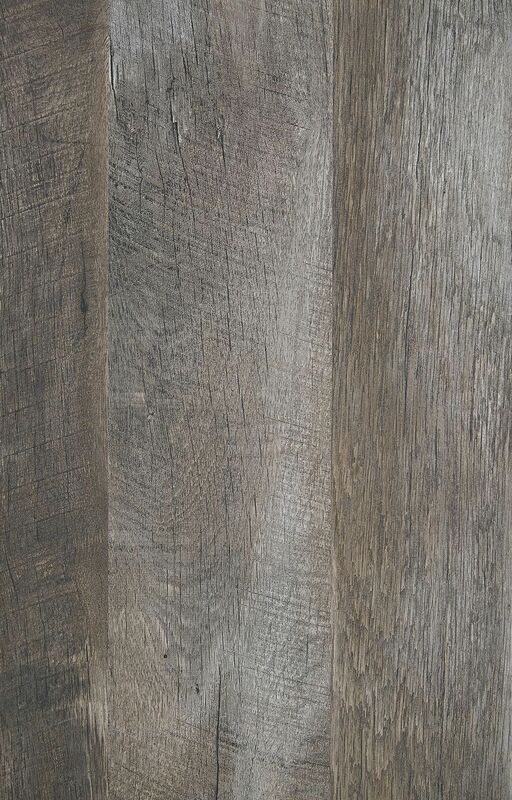 This classic piece has a modern rustic spin that is sure to be a stunner in your home, featuring a rustic gray finish over replicated oak grain, plank effect styling, and a dark bronze finish on the round knobs. 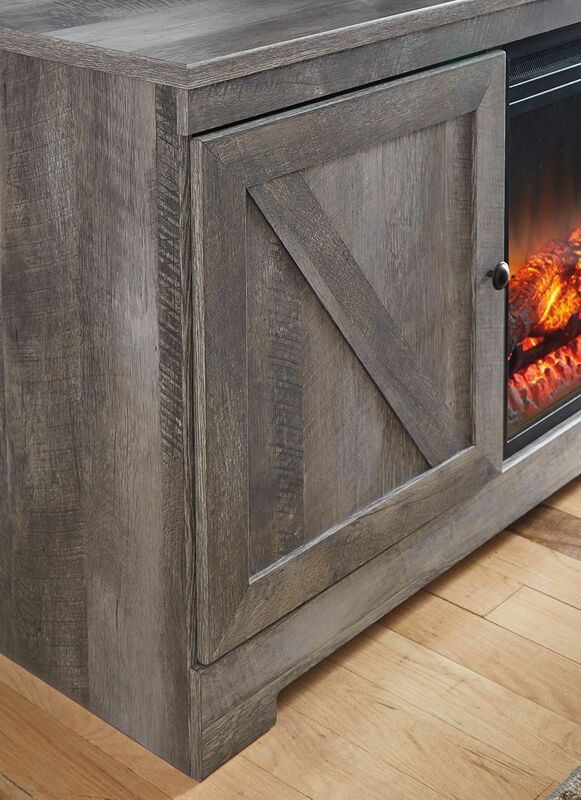 This stand is just as functional as it is beautiful, showcasing two storage cabinets with adjustable shelves, a fireplace insert for instant warmth, and cutouts for wire management and ventilation. 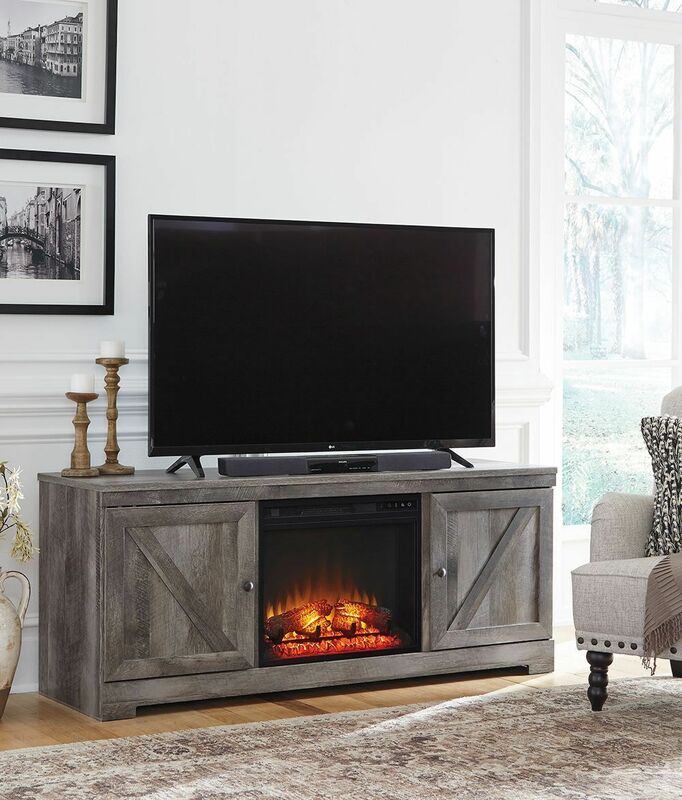 Add some crisp, clean character to your home with the Wynnlow TV Stand with Fireplace Insert!